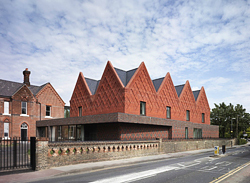 Brentwood School’s new Sixth Form Centre has won the 2012 RIBA Award from the Royal Institute of British Architects. The new Sixth Form Centre, designed by architects Cottrell and Vermeulen, took almost two and a-half years to build and was completed in August 2011. Although, it has been used by students since the beginning of the new academic year in September, the Sixth Form Centre was officially opened in November 2011 by His Royal Highness, Prince Edward. The project consists of the three buildings which make up the centre – the remodeled Victorian vicarage, the classroom block, made of a steel/concrete hybrid design, with a very complicated roof and the Wessex Auditorium, an assembly hall with a complex box section truss design. Facilities include common rooms and private study areas; 16 additional classrooms equipped with up-to-date teaching aids, interactive whiteboards and the internet; a dedicated computer suite and the multi-purpose auditorium, with 400 seats. The rooms are heated by a ground source heat pump which draws water from 15 vertical pipe loops penetrating 100 meters below the ground. 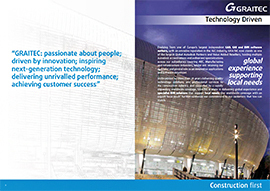 A sophisticated building management system allows the temperature in the building to be controlled remotely and windows opened or closed automatically.